Created by his family, this scholarship honors the life and impact of Frank S. Blanton, Jr., MD by supporting an annual position for a graduate assistant to serve on the Journal of Humanities in Rehabilitation. Often described as the model of a southern gentleman, Dr. Blanton was known for his keen intellect, continual pursuit of knowledge, and sincere gratitude towards others. As a physician he was respected for both his skill and compassion, understanding that he had as much opportunity to heal with his kindness as cure with his scalpel. His deep love for the humanities – in particular poetry and literature – brought a beauty and richness to his interactions, fostering connections and deepening his understanding of others. 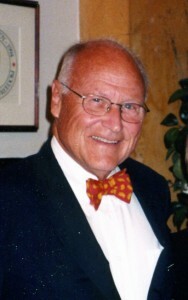 Candidates for this scholarship should exemplify the character of Dr. Blanton and should be aligned with his life mission, specifically a dedication to the pursuit of knowledge in the humanities, a deep desire to foster awareness of humanities in health professions and a gentle kindness and compassion in relating with others. To Donate to this Scholarship Fund, go to the Journal of Humanities in Rehabilitation Sponsorship page to directly make your submission. After you select gift amount, click on “Honor/Memory Instructions” – Mark “in memory of Frank Blanton” and JHR will be notified of that gift designation.